I think this goes here! haha! But what is your favorite anime? I really enjoy Sword Art Online (don't say much, still watching! ), Dangan Ronpa, Free!, and Wolf's Rain. Feel free to give suggestions!! One of my favorite animes right now is Naruto. Me and my bestie have been following this anime for a while That's how our love for japan and japanese culture grew even more I also like Bleach, Cinderella man, Death Note & Slayers (a very old anime). I can't watch certain animes for some reason, they just bore me to death. I have no idea how the famous animes such as Naruto, Bleach, or One Piece get so much popularity. I watched one or two episodes of Naruto, and couldn't continue to watch. I've probably watched 3 or 4 anime movies which I really enjoyed. One of them was My Neighbor Totoro. I believe I watched this last year on my trip to China. I had nothing to do, and was interested in watching a movie, and I came upon this anime. After watching it, I really enjoyed it. I can't remember what happened fondly anymore, just bits and pieces of the big, giant creature riding a cat school bus. The movie was spectacular, and the music was great. Another one I've watched recently was Up on Poppy Hill. I don't want to spoil it in case some people haven't watched it, but it was great. The storyline was great, I teared a bit at the end, but that happens with most TV shows, and movies I watch because of the feeling of emptiness. I can go on and on, but I would rather not. To sum it all up, I don't watch animes that are made into series such as Naruto, Bleach, or SAO. I enjoy animes made into movies. Samurai X - It featured the wandering samurai Kenshin Himura and his journey to live a peaceful life. It was funny, engaging, intense, and full of action. It made samurais look so cool. Honey and Clover - this is the anime that touched my heart when I was in college. It was heart warming and heartbreaking and uplifting. It told a tale of love and heartache and self discovery - the things that I were experiencing when I was undergoing adolescence. I've heard of Honey and Clover! I guess I should check all these animes out! I'm sure you'll love Honey and Clover. My cousin Melinda was the one who introduced me to the series. I thought it was all girly girly but I was surprised that I was immediately absorbed into it. My cousin and I loved it and I'm sure that you will too. Just yesterday, I finished another anime called "Howl's Moving Castle". I was interested in seeing more animes since I've been on a streak recently, and want to fill the emptiness after watching a movie by watching more and more animes. My point still stands though, I can't get into animes with episodes; only movies. So basically, I just went on IMDb and searched for top animes. Howl's Moving Castle was almost in every list, so I thought, why not? My thoughts on the anime? Very sweet. The characters were basically all good, and the movie was great. If you haven't watched it yet, I would recommend it! I'm sure everyone with even a passing interest is familiar with Akira, but I'll elaborate as to why it's my favourite regardless: It begins as a dystopia cyber-punk tale about feuding biker gangs, moves into a fairly subversive territory skewering rebellious youth and conformity, militarism, political corruptness, "mad science" run amok, blind religious zealotry, and nightmarish power fantasies of a disgruntled youth with superpowers, becomes a monster movie towards the end, and ultimately finishes with transcendence into higher planes of existence! I love dystopian, sci-fi, cyper-punk movies, but I love it even more when a film takes one to so many places and touches upon so many themes, especially when it does so with such bold audacity and youthful energy! My favorite would have to be Gurren Lagann. It was one of the first anime shows I ever saw, and it was also one of the first good ones that really got me pumped up, following the storyline. It's an extremely typical shounen-type show, but something about the energy the characters give off just really draws me in. Of course, that also means I loved Kill la Kill, as well. I actually prefer Log Horizon over SAO - the "smart/genius" type protagonists always greatly appeal to me. My favorite anime right now is Black Bullet. I really like a lot of animes so it's hard to pick from older ones. I'll stick to the favorite right now. It's a good anime, if you're not watching it you should be. 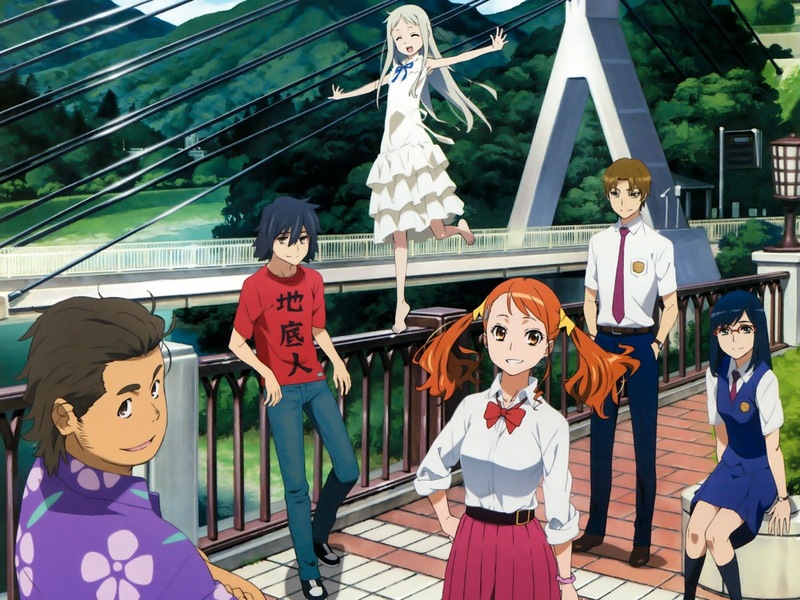 "Anohana: The Flower We Saw That Day" certainly takes the cake. It's one of the best heart wrenching animes out there imo. 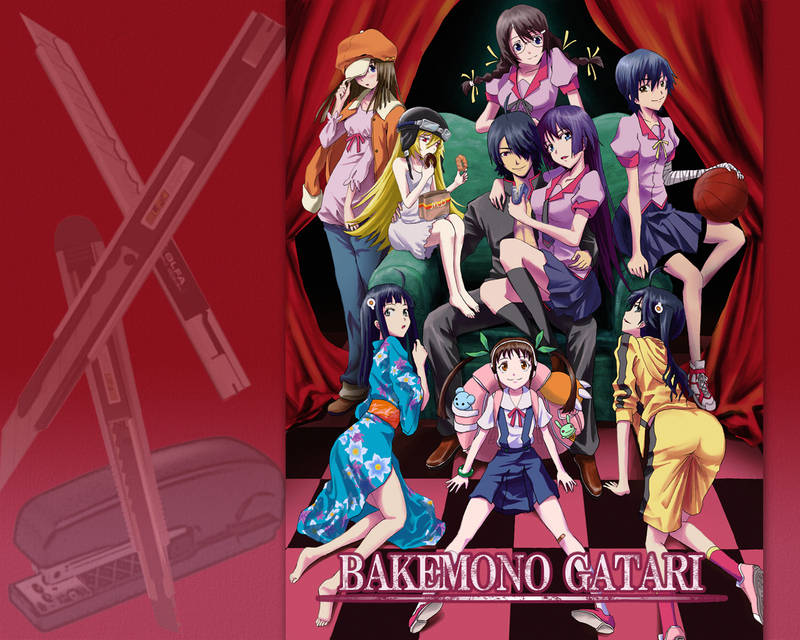 I also really like the Bakemonogatari series. 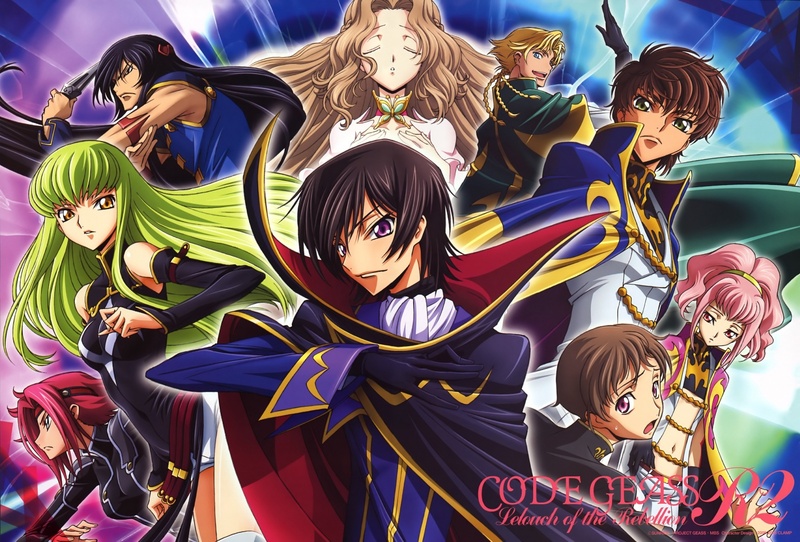 It could certainly do with more realism in it but overall, I love the political elements and admire Lelouch's ambitious personality. My very first anime was Sailor Moon, so that's been a part of my childhood... I'm glad to see the mahour shojou genre "all grown up" so to speak with Puella Magi Madoka Magica. The animation is sooo pretty. The music is... sooo pretty. And it's not only pretty, it has well-developed characters with the most fascinating dynamics and a real solid storyline that works as face-value entertainment (well, if you're into dark stuff that tie up neatly at the end) and then whenever I think about, there are so many layers of messages and interpretations for life lessons and stuff but it's all very subtle. It bumped off The Melancholy of Haruhi Suzumiya as my absolute favorite anime series of all time ever, even though I still do like that series for something more light-hearted. I loved Binbougami-ga! It was an amazing anime, really lighthearted most of the time but when it came down to sad moments it won't pass the baton to anyone. I think it was actually the first time that I've ever cried while reading a manga. It was a great experience and had interesting characters and a good plot. Hats off to the author of that manga. My favorite anime would have to be Ghost in the Shell, both the movie and the show. I've always been a huge fan of cyberpunk stuff and I really like the way the show combines action and intrigue with philosophical themes about the individual and the role of technology. It's also beautifully animated. Tenchi Muyo also springs to mind as an anime that I really loved when I was younger and they showed it on Cartoon Network. It was my first anime except for maybe Pokemon and I still love it to this day. I always find spare time to watch a Miyazaki film. I should branch out though, I am looking into all these suggestions. Thank you guys! There are so many great Animes I like, i love staples like: Fairy tail, DBZ, Naruto, Bleach, One Piece. Not so mainstream titles like Beelzebub, Soul Eater, Sword Art Online, Yu Yu Hakusho, Rounin Warrior, Shinzo, Beyblade and I could go on forever. I just love anime. I don't really have a favorite anime, because there are too many out there that are too good. If I would have to list just a few that are on my favorite list, then they would be Sword Art Online (I and II), Naruto, Tokyo Ghoul, Fullmetal Alchemist, Durarara... There are of course just bits of the list, I listed the animes that just came to mind at this time, that are on my favorite list. Cowboy Bebop is still really high up there. FLCL. Excel Saga. Attack on Titan. Tokyo Magnitude 8.0. There are more, but they escape me at the moment. One Piece has a special place in my heart because it was the first anime I ever watched. Although I do feel like they are dragging out the series now. But the early on episodes are fantastic. I also enjoy watching Naruto. The action sequences in that show are simply fantastic. Anime has come along way, and i don't watch it much but, I remember watching Ninja Scroll back in the day. It blew my mind. It was very graphic especially at the time!